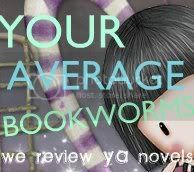 Cover Crazy is a weekly meme hosted by Tawni at The Bookworms. How the model on the background looks just like a fairy. The different shades of purple used in this cover (purple is my favorite color!). The font used for the title. The vines surrounding the title. This cover IS beautiful. Magical and flowery.